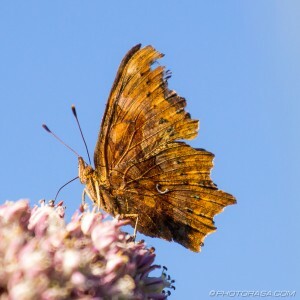 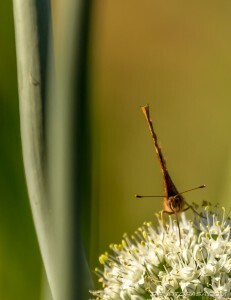 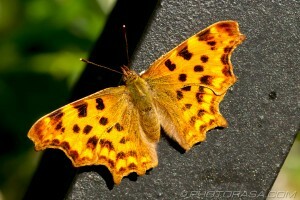 A common butterfly found throughout most of Europe, Asia and also Northern Africa. 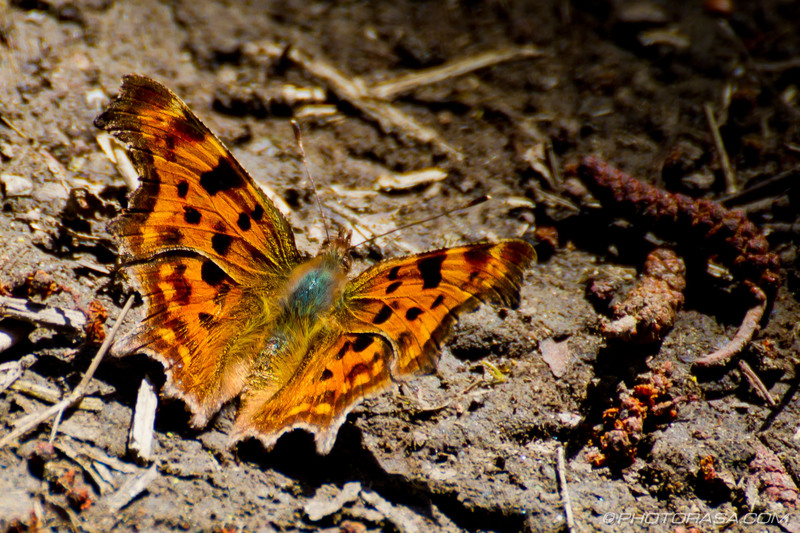 It’s latin name is “Polygonia c-album” and the species is part of the largest family of butterflies – the Nymphalidae. 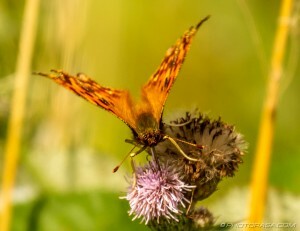 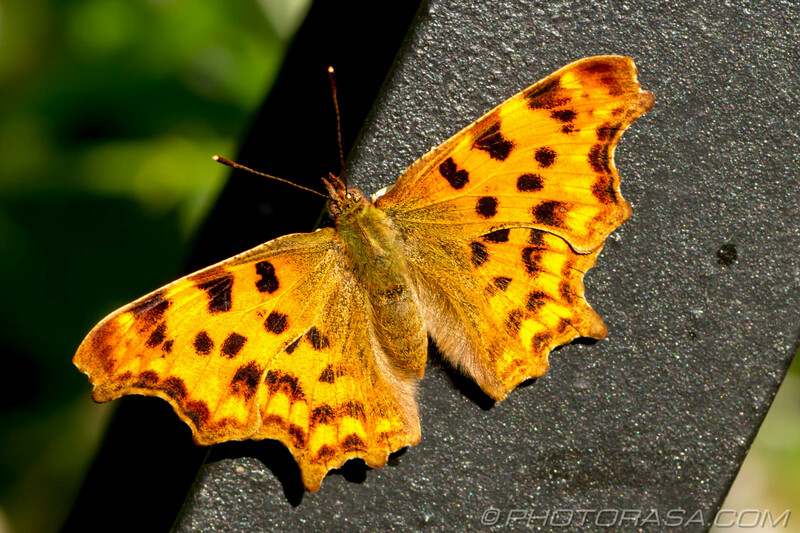 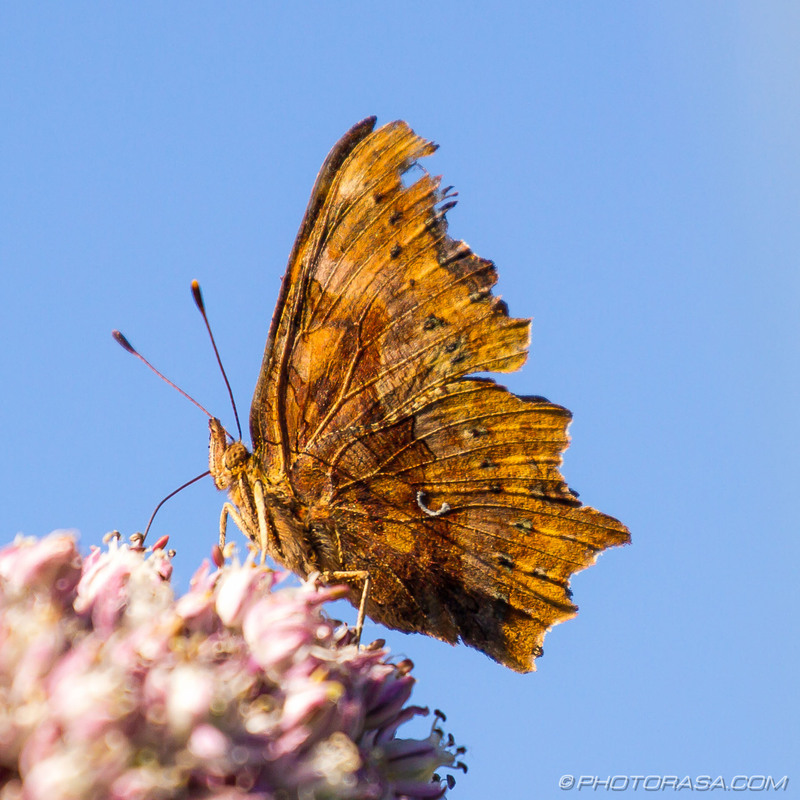 The word “polygonia” is Greek for “many angles” and refers to the exotic and irregular shape of the butterfly’s wings. 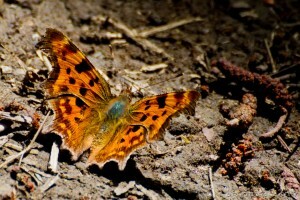 The Comma is also noted for its distinctive, spotted wing pattern and a darker, duller under-wing pattern that acts as camouflage when the butterfly’s wings are closed.